The Canadian BBQ Society is a non-profit organization of Professional BBQ Competitors, Organizers and Judges, all with two common passions: BBQ and our beloved country, Canada. To enrich the BBQ culture in Canada by promoting, teaching and celebrating the friendly spirit of BBQ in all provinces and territories. The CBBQS will grow and strengthen the sport of competitive BBQ nationwide by working with international sanctioning bodies with a goal of promoting a barbecue competition in every province and territory. 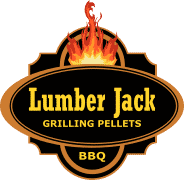 Canada is obviously a large country, and to ensure that we have a BBQ Society that truly represents all Canadian BBQers, we have established Regional Chapters. Each of the Chapters have identified Chapter Leads who are typically BBQ personalities who are known to their own areas and carry with them rich experience and solid credibility with their peers. These BBQ fanatics represent the unique needs and offerings that their regions have, and sits on a board where all policies and decisions are jointly made by all the Chapter Leads. We currently have Chapter Leads representing the Pacific, Rockies, Prairies, Southern Ontario Eastern Ontario and Quebec Chapters. We currently have over 50 teams registered as active members of the Canadian BBQ Society. And this is early days. We haven’t even held our first competition yet, but teams from Vancouver to Montreal are signing up and are excited to be a part of this truly Canadian BBQ Society.